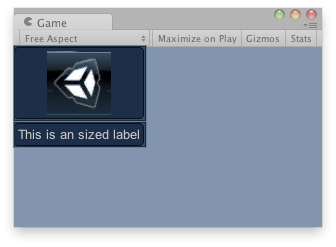 This will make a box that contains static text or images but not other GUI controls. If you want to make a rectangular container for a set of GUI controls, use one of the grouping functions (BeginHorizontal, BeginVertical, BeginArea, etc...). Boxes in the Game View.